First edition (2013) La Désorganisation du Monde, Editions Bord de L’eau. wanna buy the book? se procurer le livre? Organizations are ubiquitous, from clubs and associations to firms and public agencies. They confer meaning to all of us, and our attachment to and membership of organizations have a profound effect on all areas of our lives. However, in our increasingly turbulent world, these organizations run the risk of disappearing or losing their legitimacy, creating a sense of pointlessness and absurdity. 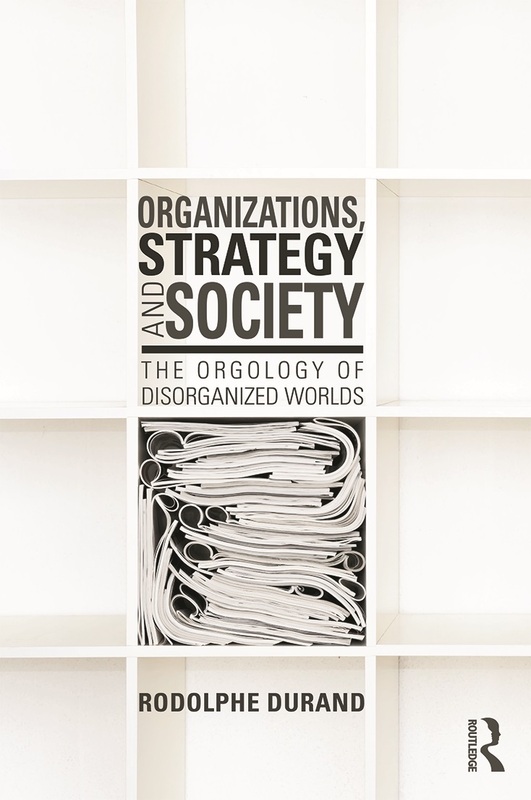 Organizations, Strategy and Society: The Orgology of Disorganized Worlds draws on neo-institutional and strategy theories of competitive advantage and develops an integrative approach to theorizing organizations and their behaviors, termed ‘orgology’. It explains that organizations can act strategically to protect and renew the meaning that individuals give to their lives. In so doing, organizations that survive and thrive impose their logics on society, thereby influencing what is legitimate or not. In turn, individuals must reinterpret their multiple associations with organizations and contribute to reinforcing or inhibiting social evolutions. This new way of understanding organizations’ relationships with society results in a reconsideration of management and the role of individuals in building their future. 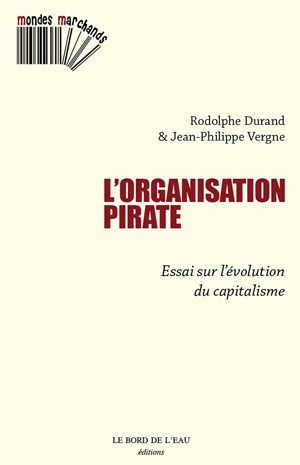 First edition (2010) L’organisation pirate – essai sur l’évolution du capitalisme, Editions Bord de L’eau. The leading French textbook on Strategy, collective work of HEC Strategy department. 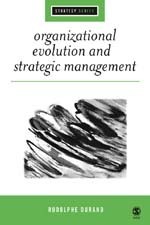 Durand R. (2006), Organizational Evolution and Strategic Management, Sage, London. This book is the first of its kind to propose a solution to this theoretical puzzle and engage readers in a balanced understanding of organizational evolution. Chapters include an examination of the work by Lamarck, Darwin and Spencer; a constructive appraisal of evolutionary theory applied to organisations and a summary of how the organizational evolution and strategy model will affect future theory and research. 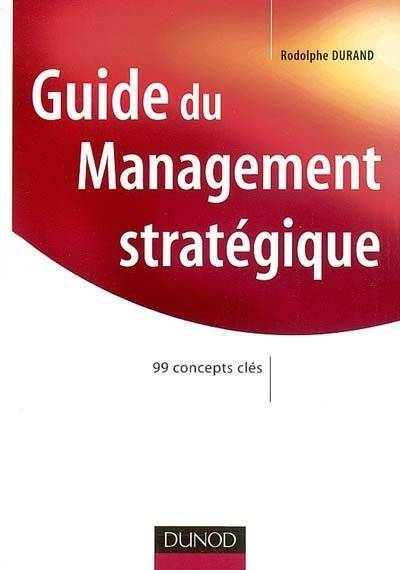 This book (in French) contains 99 concepts of strategy, all defined, illustrated by an example and related to relevant academic research. Each concept is then related to others, contained in the book, enabling a hyper-text reading of the content –hence enabling the reader to reflect on a particular strategic question in a non-linear way. 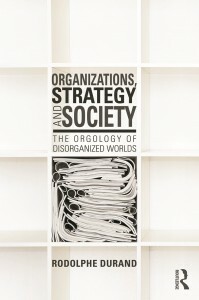 Edited collective volume on debated theories of organization. 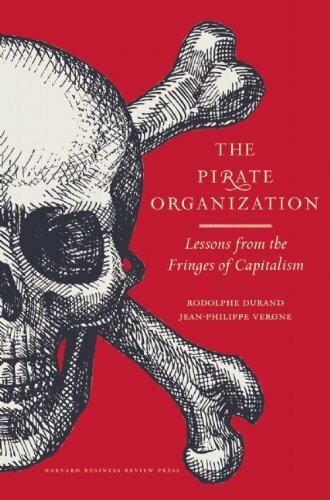 It contains 8 chapters on: organizational selection, real options, corporate governance, organizational acculturation, organizational learning, organizational justice, auto-organization, and philosophy and logics. 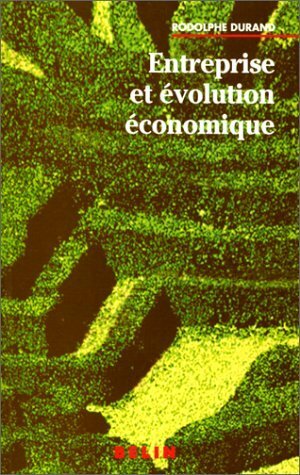 Durand R. (2000), Entreprise et Evolution Economique, Editions Belin. This book is a journey that starts with a questioning about economic evolution. In order to avoid logical traps and analogical errors, the reader needs to enter the management territory where different models confront each other. On her way to destination, the reader collects knowledge and ideas about firms’ strategies and why future strategic moves are conditioned on current resources controlled by firms. The book ends with the list of tentative answers to the opening questions. Marois B., M.A. 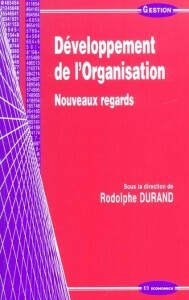 Andrieux and R. Durand (1997), Chômage et relance de l’emploi – Le point de vue des entreprises, Economica. « Strong in the morning, dead in the evening: a genealogical and contextual perspective on organizational selection« , in The Globalization of Strategy Research (Advances in Strategic Management, Volume 27), Professor Joel Baum (ed. ), Emerald Group Publishing Limited, 2010, pp. 279-312 (in coll. with M. L. Djelic). « (Un)Great Expectations- Effects of underestimations and self-perception on performance », in Handbook of Research on Foresight and Strategy – forthcoming, L. Costanzo (ed. ), Edward Elgar Publishers, Londres, 2009. « Practical wisdom and emotional capability as antecedents of organizational accountability in revolutionary change processes », in Research on emotion in organizations, N. Ashkanasy, W. Zerbe, C. Hartel (Eds), Emerald Group Publishing Limited, 2008, chap. 14 (in coll. with Q. Huy). « Competence systemics and survival: Simulation and empirical analyses », in Competence Perspectives on Resources, Stakeholders and Renewal, R. Sanchez, A. Heene Eds, Elsevier, Amsterdam, 2005, vol. Advances in Applied Business Strategies, pp. 33-58 (in coll. with Z. Guessoum). « Can illusion of control destroy a firm’s competence? The case of forecasting ability », in Strategic Foresight, H. Tsoukas and J. Shepherd (eds), Blackwell, Oxford, 2004, pp. 109-130. « Linking Competencies, Sustainable Competitive Advantage, and Performance: An Empirical Investigation », inResearch in Competence-Based Management, R. Sanchez, A. Heene (Eds), Jai Press, 2000, chap. 6 (in coll. with B. Quélin). « The relative contributions of inimitable, non transferable and non substitutable resources to profitability and market performance« , in Dynamic Strategic Resources, Hitt M. et al (eds), J. Wiley, 1999, pp. 67-95. « Performance de l’entreprise, sélection économique, et liberté individuelle », in La performance, une nouvelle idéologie ?, B. Heilbrunn (ed), La Découverte, 2004, pp. 121-133. 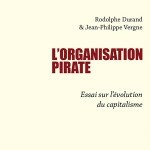 « Théories de la sélection et développement organisationnel », in Développement de l’organisation, Nouveaux Regards, R. Durand (ed. ), Economica, 2002, pp. 17-36. 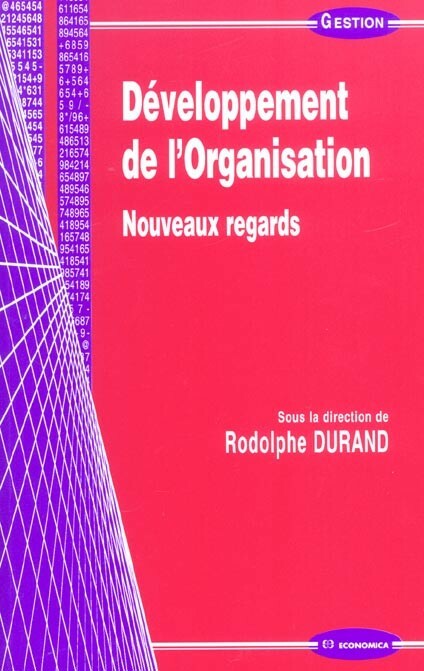 « Théorie des options réelles et développement stratégique », in Développement de l’organisation, Nouveaux Regards, R. Durand (ed. ), Economica, 2002, pp. 37-55 (in coll. with P. Y. Gomez, P. Monin). « Construire son statut, un atout stratégique », in L’Art du Management 3, HEC Paris, Dunod, Paris, 2005, pp. 349-353. « Transactions, Ressources, et croissance de la firme », in Regards de la Stratégie sur l’Economie des Coûts de Transaction, P. Joffre, O. Germain (eds), Vuibert, 2001, pp. 111-127 (in coll. with P. Y. Gomez). Durand, R. and Guessoum Z. (1995), « Intelligent agents for building models of firms evolution », in I.A. distribuée et systèmes multi-agents, Müller et Quinqueton (eds. ), Eds HERMES, p45-56.